I recently made a binocular purchase for use while hunting in a treestand. 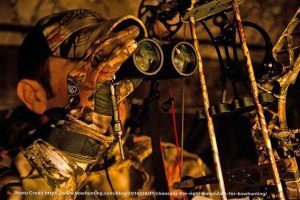 Having never really used binoculars while bowhunting and I was unsure what to look for considering the vast majority of my hunting is done from a treestand. I did quite a bit of looking around on forums and blog articles to see what other people were using before I made my decision. Kevin, the co-founder of iBowhunt, has been using 10×42 Nikon Monarchs in the stand for years, and he loves them. He’s been telling me for years I’d enjoy a pair. So when I began my search one of the things that came up most was whether or not 10×42 were appropriate for treestand hunting. Some people swear by that magnification and objective lens diameter while others say it’s too much for treestand hunting considering the close nature of it. I came to learn while doing this research just exactly what the numbers in a binocular power mean. The first number is the magnification of the binoculars, and the second number is the objective lens diameter in millimeters. The first number is easily understood, what you see through the binoculars is magnified that many times. The second number is a little less clear. The objective lens is the front facing lens used to gather light. The wider the lens the more light it can gather. Also, the larger the objective lens the wider the field of view will be. Something to keep in mind regarding the field of view is that the larger the magnification is the smaller the field of view will be. In order to keep field of view wide the objective lenses need to grow with the magnification. So with the explanation of power out of the way, let’s talk about what I went with and why. I opted for an 8×42 Vortex Diamondback binocular. While reading up on treestand hunting with binoculars the only two complaints I really ever read about 10×42 power was that the magnification was too great for close range use and that there was shakiness at 10x magnification. So I went into Bass Pro Shops and spent about 15 minutes glassing from the top floor all around the large store to try and get a sense of what it’d be like using these in a treestand. While I personally did not experience the shakiness with the 10x power binocular, I did feel like the magnification was too great when looking at various things around 60-80 yards away. There are times when a deer is walking a treeline or in brush at close range and you just want to get a better view of the rack before he pops out and heads into your shooting range. 10x power just seemed too much for me in that range. All that said, the real question is “how do they perform in the field”? I have been on a few hunts since purchasing them and I can honestly say I can’t believe I’ve been bowhunting this long (12 years) and not ever used binoculars. In the properties we hunt, all of our stand locations have probably less than 300 yards of viewable distance, many with much less. The 8×42 power have proven to give me great viewing at all distances from our stands, and I couldn’t be happier with my choice. 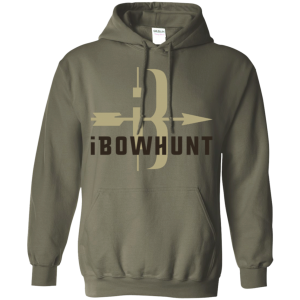 I have had one single real-life use case while hunting with them so far. While sitting in an east facing stand in a small timber draw leading up to a corn field that is split by a small tree line I heard a few grunts. Within a couple seconds of hearing the grunts I noticed a deer walking with his head down along that treeline down the middle of the corn field. I wasn’t able to get a good view of the rack, so I grabbed the binoculars. My guess is he was 80 yards away. After glassing him for a few minutes through the trees and brush I was able to pick out that he was a six pointer and probably 2.5 years old. He kept on walking while I kept on glassing him and we both went on about our day. So if you’re on the fence, or in the market, for a binoculars to use while bowhunting, just go ahead and get them. You’ll be glad you did. My only suggestion is to go into a store and glass around with various powers to see what suits you best. 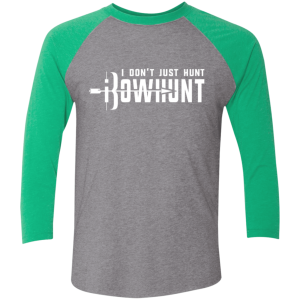 I don’t just hunt, iBowhunt.